Miracles are nothing but God’s way of manifesting His blessing. The first morning of 2014 gave me a positive inkling. It wasn’t a very bright morning though. Rain was lashing hard against the window panes and the silhouettes of distant mountains were turning darker even with the breaking dawn. It was 1st January 2014, an off for all our offices. Rough weather outside and a cup of black coffee to sip was nothing less than a bliss. Like most entrepreneurs, I am habitual to check emails quite often. I answered few urgent emails, and spent next couple of minutes skimming through the emails till I reached one that brought a smile on my face. It was a reply from one of the equipment vendors. This reply was first ray of hope after holding several meetings and days of discussions with many vendors. With sparkle in my eyes, I began reading through the details listed in the email. It affirmed that the vendor had technology that is required for manufacturing pulp with fruit dices in it. This is one of the key products that our R&D team is determined to develop this year. The food trends have been changing, and are now governed by a more health conscious consumer. It is therefore important to research and incorporate such innovations from time-to-time. Brightened by this news, I looked outside and beheld year’s first miracle for me. 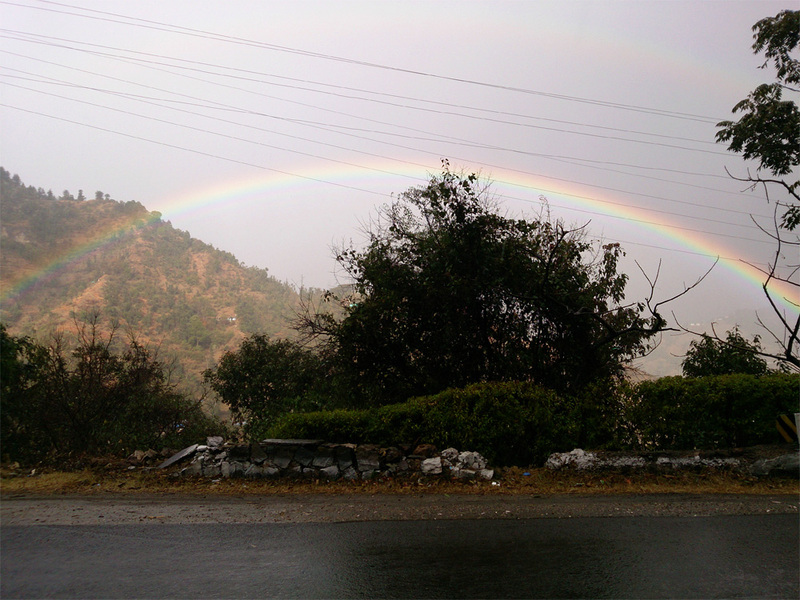 It was a full arched rainbow, glistening with all its might, across the vast valley. 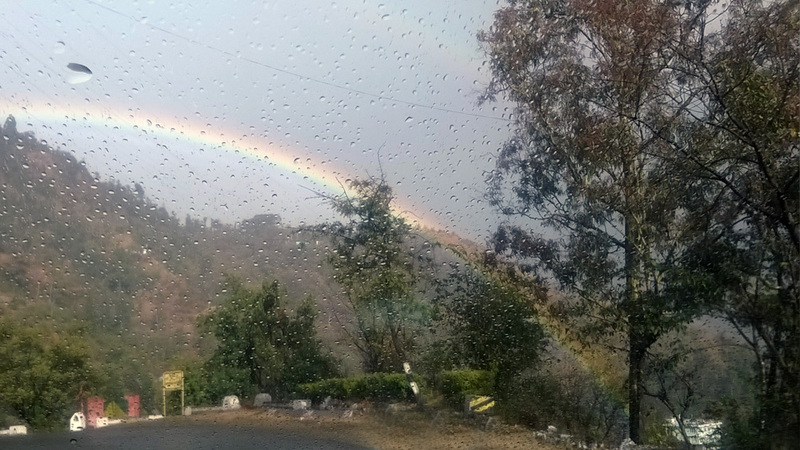 Seeing a rainbow was a blessing, a sign that acknowledged my feeling and set a high note for the year ahead. Rainbow is formed when sunlight passes through rain droplets that act as a prism, scattering light into seven distinct colours. More than science, I relate rainbow to my life…my work now. 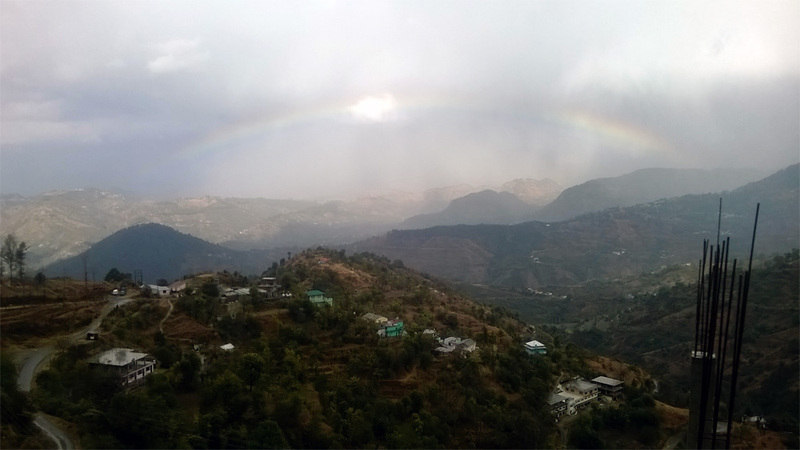 This spectacle of sunlight, air, rain and nature is so deeply connected to my work at Shimla Hills. Rainbow hints that it has rained well. Rain in turn is a boon for farmers that nurture crops between sowing and harvesting time. Only when sun and rain combine, will you see a rainbow. A unity of opposite always stays. No two people see the same rainbow, that’s a fact. Nor are two days, two years the same. Everything changes, and we all perceive change individually. With experience, I have learnt that we should accept change with courage, and stay optimistic and confident about it. Likewise, rainbow cannot be formed unless sun peers out and creates magic at the air-water interface. Sun is the driving energy that stimulates life on earth and similarly helps the rainbow to manifest. 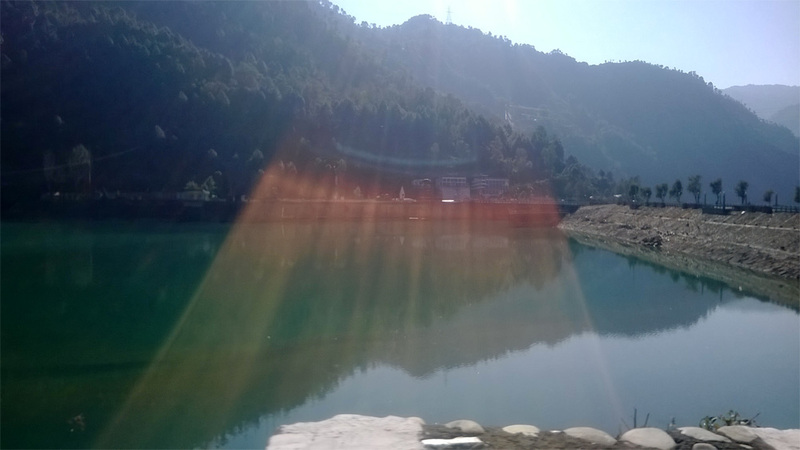 If farms are crop yielding factory, then sunlight is the fuel that stimulates crop growth. 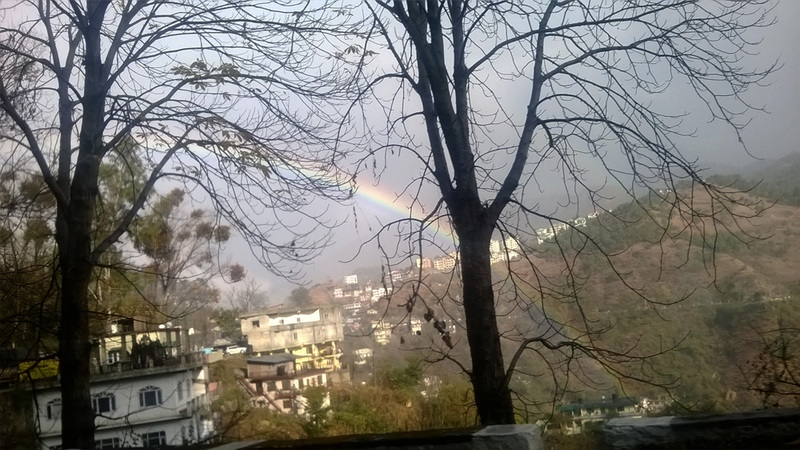 I take rainbow as a sign of Almighty’s goodwill and blessings. I am optimistic that the year 2014 will revolutionize food industry, yet again, and Shimla Hills will surely be a big part of this movement. We begin this movement by first strengthening our strategies to venture into new territories viz. USA, Japan and Africa. Let’s meet up at Foodex, Tokyo from 4th to 7th, March 2014 and hopefully at AFFI-CON 2014 at USA. I must also congratulate Sun Impex, our sister concern for opening a new office in Russia and having the opening of Madagascar office in the offing. I extend my wishes to our staff there as Russia overcomes the recent skirmish. Wishing New Year to bring abundance, happiness and courage for all of us!